Google is the most effective vehicle for driving targeted clicks to your content. Yet, a precarious thing about Google is it’s continually evolving. You have to adjust to the changes and updates to win and hold high rankings. Google’s search features and SERPs are always evolving. One of its accelerated evolution is Google’s featured snippets. The term Google’s features snippets are very simple. 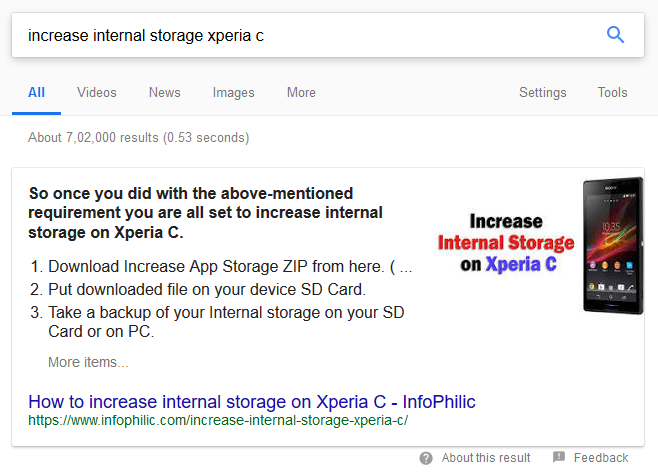 When a user asks a question in Google Search, it displays a search result in a special featured snippet block at the top of the search results page. Sometimes, featured snippets are also known as answer boxes. 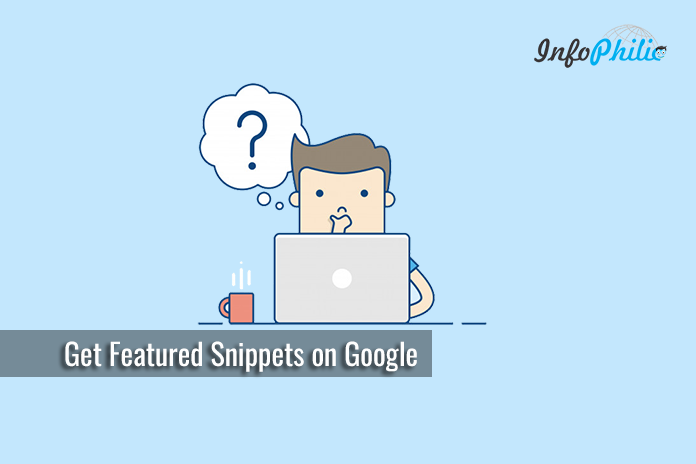 They are often called Position 0 because snippets appear above the first organic search result. Google chooses to display featured snippets when it determines that it will help users find what they are searching for, especially for mobile and voice searches. Paragraph (an answer is given in the text). It can be a box with text inside or a box with both text and an image inside. The most popular featured snippet is “paragraph” type. The advantages of a featured snippet are obvious: more clicks, more visibility, and a higher conversion rate. It’s an SEO’s dream! How to get your page on RANK 0? Well, there is no official process for applying for featured snippets. Still, there are much more you can do to get your page in that spot. The best you can do is to optimize your pages. Before diving into the deep, let me clear a most common understanding that you must always markup your articles with structured data if you want to get features snippets. Well, that’s not true. It is very helpful to add structured data to your content in some cases only. Keywords describe your page content. Most of the bloggers use meta tags to introduce their blog/site to search engines. Through keywords, it is possible to for people to find your site via search engines. In other words, keywords are the foundation of the for all your other SEO efforts. Using keywords, specifically long tail keywords are valuable for businesses who want their content to rank on the first page of the Google. For best keywords, use keyword research tool. I recommend using SEMrush as it allows you review the top ranking organic keywords for your site. Analyzing audience allows you adapting your texts to your audience and understand their behavior. First, at all, you need to know two things: Who is my audience right now and what does my ideal audience look like. There are several effective ways that will help you in analyzing your audience. Most useful is using Google Analytics– as it provides detailed information on your visitors including on what time a day your audience is on your site, where they’re from, which pages they like most and whether they use a desktop or a mobile device. It is also useful for determining what types of people are visiting your site and why. It is simple as you are merging some key points that you want to cover in your article. The only condition is, the words should be yours only. What do you want to say in your post? What are your perspectives towards it? Does it relate to any external post? Had you before got an idea about it? Based on the question, you can structure your best content. Using structured data on your site help in increasing search engines’ understanding of your site’s content. It is in the form of code that you need to put on your website to help the search engines return more informative results for users. It works like rich snippets. Websites that use structured data will rank better in the SERPs than companies without markup. Almost one-third of Google’s search results include a rich snippet with Schema.org markup. Here is the detailed guide on How to Boost Your SEO by Using Schema Markup. 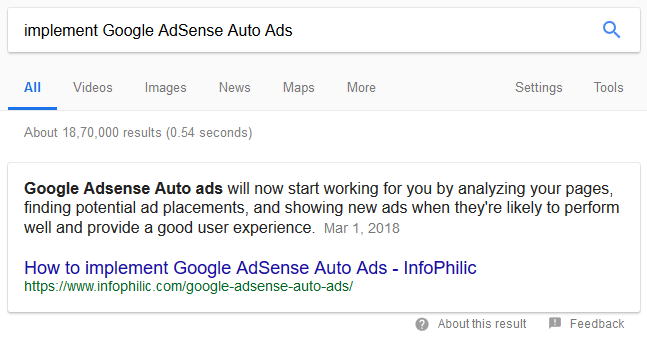 Getting featured snippet on the Google is not easy. But practicing these tips will definitely increase the chances to get in.